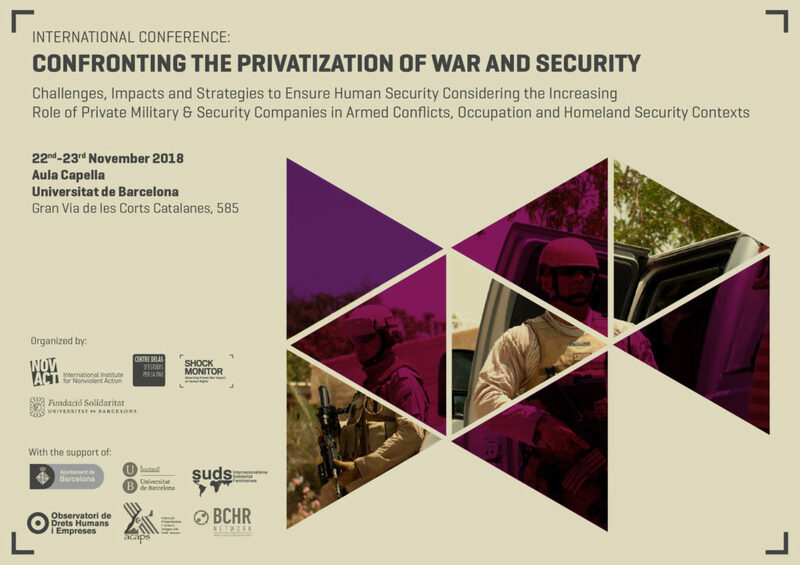 The International Conference Confronting the Privatization of War and Security, held in Barcelona on November 22nd-23rd 2018, aims to raise awareness to the increased participation of Private Military and Security Companies (PMSCs) in conflict and homeland security settings. Currently, citizens around the globe are facing an increasingly complex international scenario where business interests and politicking are convoluting modern warfare, enabling the entry of privately held corporations with increased firepower and highly specialized training into conflict. Based on the proliferation and fragmentation of non-state armed actors, these corporations involved in war and conflict settings have capitalized on (in)security as a new way of business. 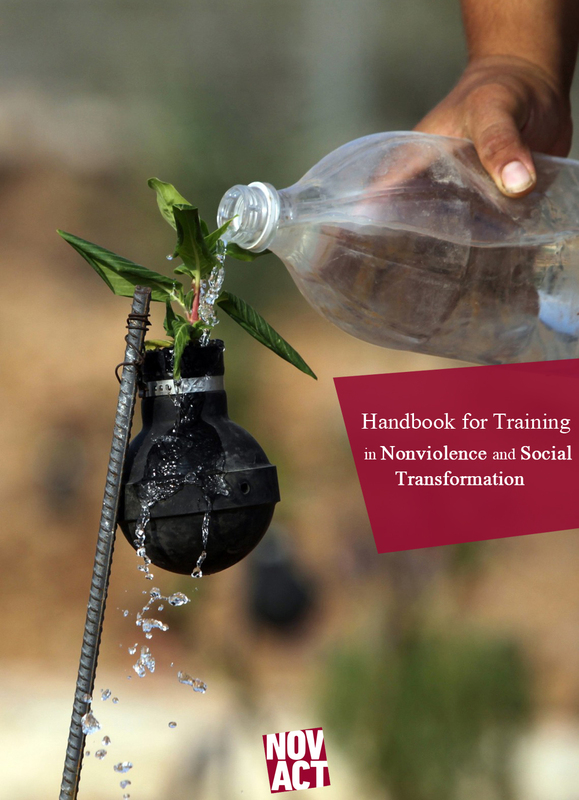 Considering its potential externalities, it is urgent to promote joint research, to raise public awareness and to advance effective advocacy work on the implications that the privatization of war and security can have on the democratic control of security policies and overall respect and protection of human rights worldwide. We address these sessions to international civil society organizations and their respective networks, working groups and task forces focused on business and human rights; national and international members of academia; think tanks and practitioners dealing on issues in security, peace and conflict; as well as students and the general public interested in the process of privatization of war and security, armed conflicts, occupation and homeland security contexts. Open sessions (Day 1): Please confirm you participation to leticia@novact.org and +34935513292. 10:00 – 11.30 Session I: The Phenomenon of Privatization of War and Security – State of the Art, Challenges and Limitations. The Concept of “Modern Wars” and the Participation of Military and Security Actors. Legal and Political Implications of Outsourcing Military and Security Services. 12.00 – 14.00 Session II: Presence and Impact of Private Military and Security Actors in Conflict and Occupation Zones in the Mediterranean region. The Impact of PMSCs in Rule of Law and Stabilization Process in Iraq. Use of PMSCs by Israel in the Occupation of East Jerusalem. Warlords and PMSCs in Libya. The Complicity of PMSCs in the Plundering of Natural Resources in Western Sahara. 15.00 – 16.30 Session III: The Increasing Role of Private Military and Security Companies in Homeland Security Contexts. Transformation and human rights’ violations by PMSCs in Homeland Security. The impact of the security-industrial complex on the internal security policy of European Union. The case of the surveillance of travel. Privatization of border controls and prisons in Europe. Illegal Expropriation of Houses by Security Contractors in Catalonia. Observing PMSCs in Conflict Zones, “Shock Monitor”. Effective Advocacy Work: The case of G4S in the United Kingdom. European Networks to monitor and advocate for the control of transnational companies.